Stop paying to heat up a hot water tank all day. 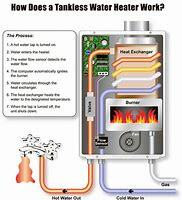 Have NRG Essentials come out and give you an estimate for a tankless water heater system. Have unlimited hot water whenever you want at a steady temperature, for as long as you want. 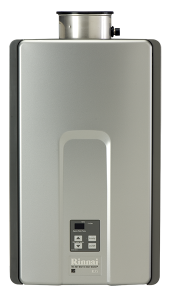 The Rinnai Tankless Water Heater is designed to use a gas-powered heat exchanger that heats water on demand. A fully self-powered modulating gas valve operates only when water flow is detected. If you are limited for space, this is the way to go. The traditional hot water tank takes up 16 sq feet. of valuable space. This energy efficient Tankless Water Heater is so compact, it can be installed virtually anywhere on an exterior wall. Definitely a space saver. Just call NRG Essentials at 519-627-7971 for details today.